Change from Choice is the trading name of Cherry Potts, life coach, business coach and mentor, and NLP Master Practitioner. 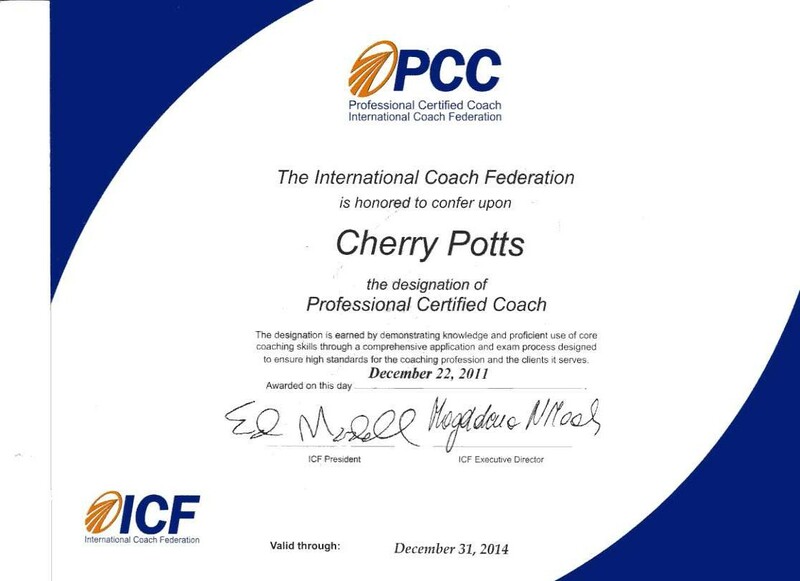 I am NLP Master Practitioner qualified, and a Professional Certified Coach (PCC) member of the the ICF ( International Coach Federation). I have studied with Ian McDermott, Jan Elfline, Suzi Smith, Robert Dilts and Tim Hallbom. I have been trained in Group Mastery by Michael Grinder. I am a qualified SDI facilitator and TAP Training Provider. 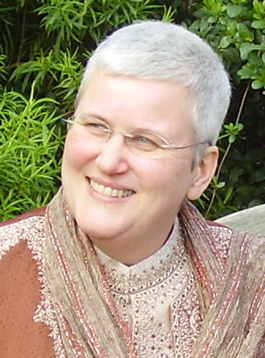 I have recently (March 2010) completed a Coach Mastery Course with the wonderful Jan Elfline. I am learning British Sign Language, as I want to be able to coach and train anyone who wants it, and I am very aware that as my coaching is primarily conducted by phone this puts people with hearing issues at a disadvantage. I have passed BSL level 1, and had some 1:1 coaching to learn the vocabulary I need to Coach and train. I find BSL fascinating, and get a lot out of learning it. Watch this space! My background is in Housing, Information Management and IT, with an emphasis on training. I am currently working with Leonard Cheshire Disability on their Enabled 4 Growth and Be the Boss projects, and previously worked on their Ready to Start programme, providing mentoring to disabled entrepreneurs. I have also done voluntary work in housing co-operatives and housing advice, and the conservation movement. I am the author of 2 collections of short stories published by Onlywomen Press; most recently ‘Tales Told Before Cockcrow’. I continue to write, and have most recently had a story (Prairie Rain) published by Leaf Books in their anthology ‘From the Left’, and another story (Out of Darkness) published in Litro magazine. I have also had four stories performed at Liars’ League, two in London and two in Leeds. I design greetings cards under my own imprint, sold through Lavender Lifestyles. in 2008 I discovered singing in a community choir and am now a passionate advocate of this form of exercise, relaxation and fun! I have now sung in four operas and numerous concerts and am completely over any fears I ever had of looking a fool in public. I have over 12 years management experience, most of it at a senior level. I enjoyed leading a team, and the most rewarding aspects of the work were the personal interaction of coaching and mentoring my team as individuals, recruitment, and team building. I got more and more interested in coaching and discovered NLP through a friend who was training, starting as one of his practice clients. I found the coaching so useful in so many different areas of my life that I decided I wanted more, and started training in NLP myself. I am now split my time between coaching, training, writing and singing, instead of squeezing the things I love into the corners of a very full time job. Because I love coaching. It is as simple as that. I love being coached, and I love coaching others.